Sometimes I post photos of books on my instagram. Sometimes I take photos of books and just never post them. Tonight from this treasure trove, I present you with three picture books worth talking about. This is a board book we found at the library. As you can see below, its pages turn from top to bottom. 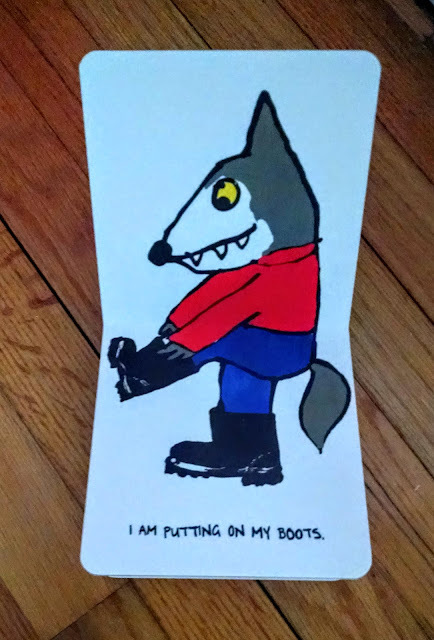 What you cannot see is that it is the story of the wolf getting dressed. First he puts on his socks. Then he puts on his undies (that gets a giggle at our house). Then he puts on his shirt and sweater and boots and coat and hat and the surprise kicker at the end is that he gets real close to the camera (you know what I mean) and says "And I'm coming to get you!" It's hysterical. I love reading it to kids. It provokes huge physical reactions from them and makes us all laugh. It's genius, I tell you. I had heard a lot about how lovely this book was, from my internets. (My internets are all full of lovely books). 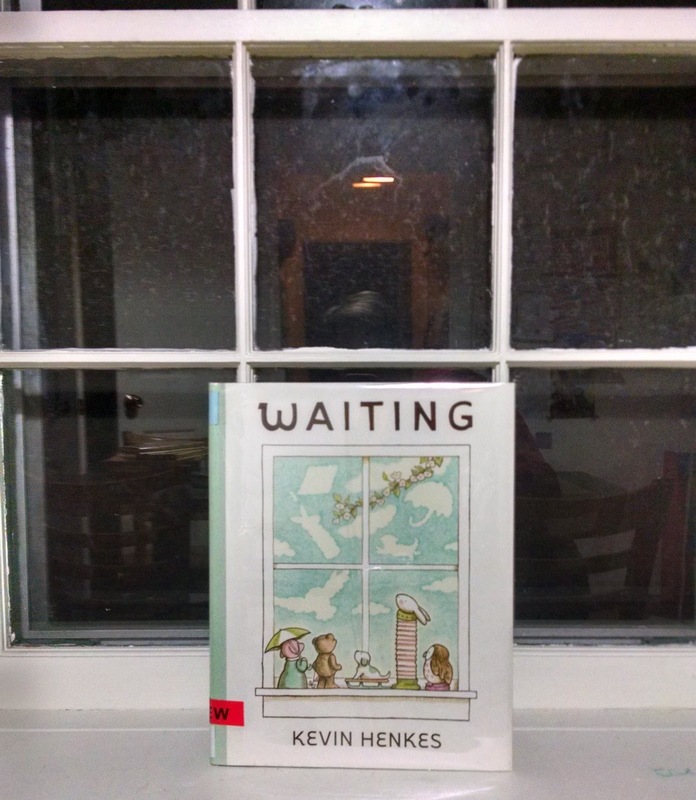 I really like Kevin Henkes, but I confess I was worried that this one wouldn't be that great. It was great. So, yeah. Needn't have worried. Each of the animals pictured on the cover is a little toy that sits in the windowsill. Each is waiting for something to happen. Each, in turn, is satisfied. It's just a lovely book and a metaphor for life and mindfulness, friendship, loss, time. Y'know, all the big ones. I definitely recommend it. 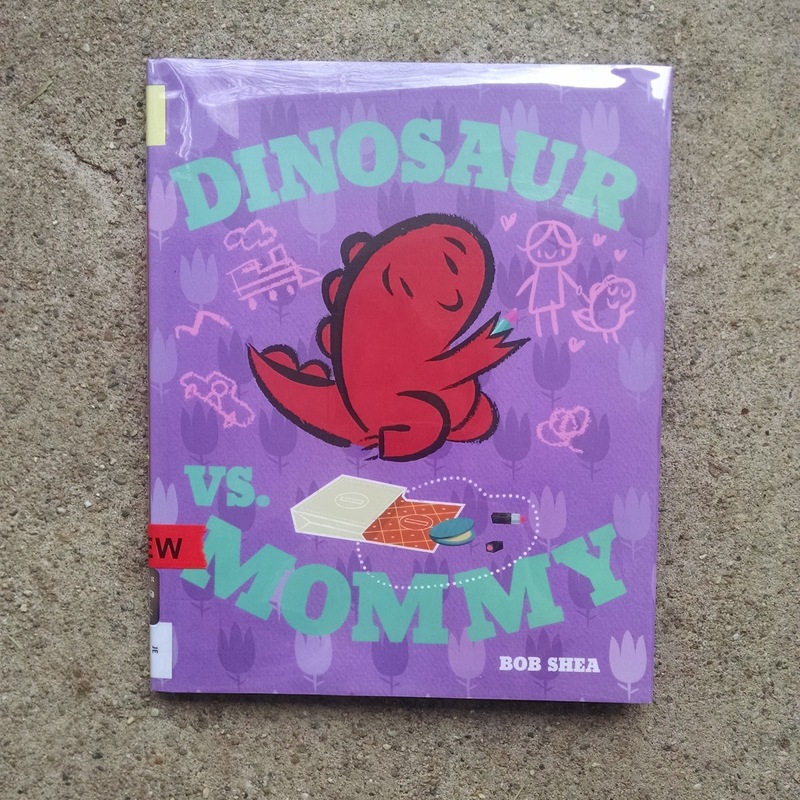 I think the first "Dinosaur vs." book I read was Dinosaur vs. The Potty. That one was hilarious and I checked out a few more of them, but the first always kept the top spot. Until now. I was trying to describe this book to my book club (of adult women, most of whom are mothers). One of them asked, "Is it like the 'How Do Dinosaurs...' books by Jane Yolen?" No, it is not. It is very punchy. There is a lot of roaring. And this little red dinosaur is just totally, totally a toddler. 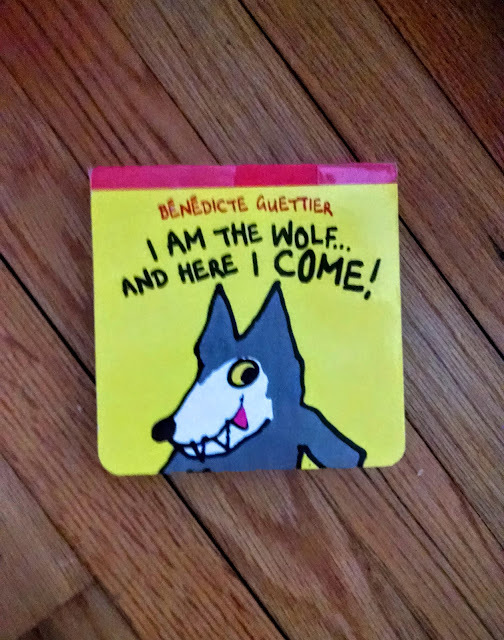 If you have a toddler, you should read this book. Then you will say to yourself, "Ah, someone understands my life." Also you might laugh so much that it's hard to breathe. That's what I did. Found anything good at your library lately? Do tell. 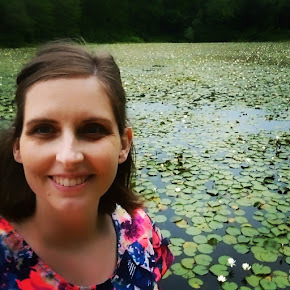 And if you're on instagram, definitely say hello to me over there so that we can connect. Ooh, I'm going to have to find Betty Bunny! Thanks for the recommendation!